Having style is always a blessing when you know about Tulliano silk knitwear. Tulliano drives Italian fine style with fine silk blend knit that is simply a cut above. 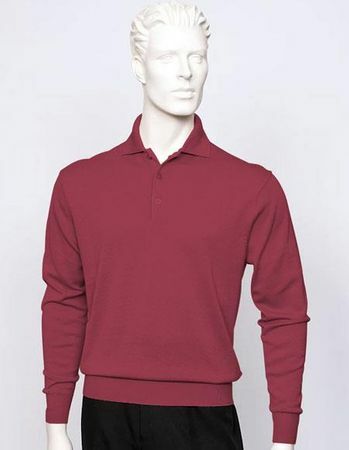 This wine color polo sweater features a fine gauge knit that works with your suits, slacks and even jeans.